The combination of escalating demand for crude oil and approaching global maximum extraction, plus the need to manage greenhouse gas emissions, make the development of sustainable energy sources critical. Renewable diesel/gasoline fuels are the transportation fuels of future. Ambitious biofuel support policies have recently been adopted by Canada, United States (with 60 billion litres of biofuel blended by 2022) and the European Union (with 10% renewable energy in the transport sector by 2020). Plant oil and biomass-derived biofuel are a mixture of complex oxygenates that need to be upgraded before it can be used directly as fuel or blended to Petroleum diesel/gasoline. Integrated catalytic processes and inexpensive catalysts were designed to efficiently eliminate oxygen from biofuels to produce ‘green’ fuels that are fully compatible with petro-diesel/gasoline. 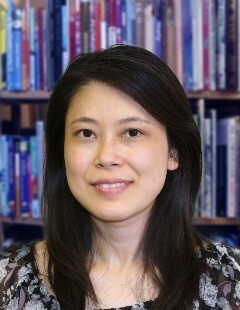 Ying Zheng moved to the University of Edinburgh the summer of 2015 to take up the current position as Chair of Chemical Reaction/Catalysis Engineering. Previously she held a prestigious Canada Research Chair position (Tier II) in Chemical Processes and Catalysis. Her research interests lie at the development of novel catalysts and chemical processes for waste-to-energy/value-added products. She has published 120+ original papers and holds 10 patents, two of which have been licensed. Ying Zheng was elected to Fellow of Canadian Academy of Engineering in 2016, Fellow of the Chemical Institute of Canada (CIC) and Member of the College of New Scholars of the Royal Society of Canada in 2014. Her contribution to Chemical Engineering has also been clearly recognised by several awards, including the 2010 Syncrude Canada Innovation Award, Imperial Oil University Research Award (2009) and the UNB Research Scholar (2009). Rogers KA. and Zheng Y., “Selective Deoxygenation of Biomass-derived Bio-oils Within Hydrogen Modest Environments: A Review and New Insights”, ChemSusChem, 9, 1750-1772, 2016. Zhang H., Lin H., Zheng Y., Hu YF, MacLennan A. “Catalytic activity and chemical structure of Nano MoS2 synthesized in a controlled environment”, Reaction Chem. & Eng., 1, 121-254, 2016 (inner cover page). Zhang HP, Lin HF, and Zheng Y., “The role of cobalt and nickel in hydrodeoxygenation of vegetable oils”, Appl. Catal. B: Environmental, 160–161, 415-422, 2014. Zhang HP, Lin HF, Zheng Y. and Hu P., “Hydroprocessing of waste cooking oil over a dispersed nano catalyst: Kinetics study and temperature effects”, Appl. Catal. B: Environmental, 150-151, 28-248, 2014. Wang Y., Wang H., Lin HF, Zheng Y., Jianshe Zhao, Pelletier A. and Li K., “Effects of Solvents and Catalysts in Liquefaction of Pinewood Sawdust for the Production of Bio-oils”, Biomass Bioenergy, 59 158-167, 2013.